Welcome to Tru Woodcraft Inc.
Tru Woodcraft was started by Steve Trutenko back in 2004. A creative woodworker who strived to keep all design and manufacturing in-house and offer exceptional customer service. Innovative design, quality materials, practical solutions combined with aesthetically-pleasing craftsmanship. 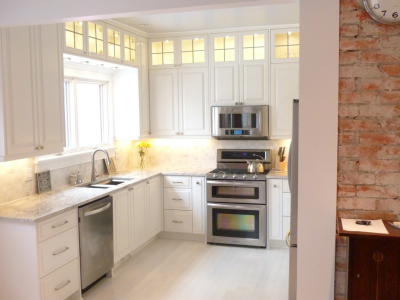 Wine cellars, home bars, entertainment units, custom millwork and furniture, kitchens, basements and renovations. To find out more about our services, contact our Calgary office today at 403-671-0037 or send us a message. Created with passion, climate controlled or not, we take pride in creating a beautiful display and storage facility for your wine collection. 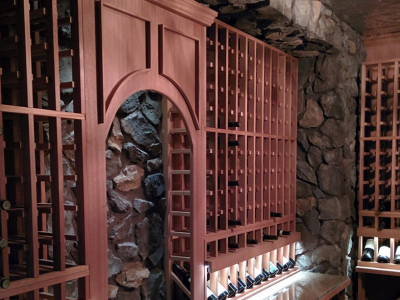 Custom wine racks and millwork, soft lighting, cork flooring, stonework, and lots of creativity! Creativity and skill drive our philosophy that design should not be compromised for function. Ever hear the expression "can't draw it, can't build it"? We design everything we build, and have been doing this for a very long time. Knowledge without mileage is nothing.......well, our odometer is up there!!! 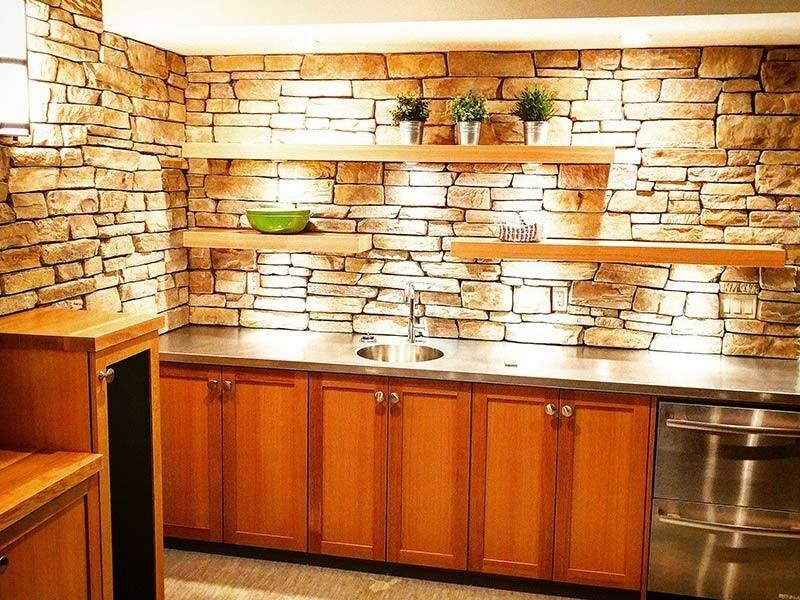 If your kitchen needs updating or replacing, your basement needs developing, or your entire home needs to be refreshed, we are happy to help. We specialize in interiors. 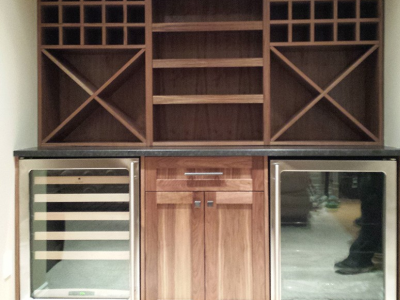 We had the privilege of seeing Tru Woodcraft's work when our friends had a wine room built in their home. Fast forward a few years when we moved to our new home and our builder also recommended Tru Woodcraft. The entire process was amazing and easy. The attention to detail, craftmanship, and pride in detail is second to none! So so happy with our new room! We have hired Tru Woodcraft on several occasions and have been very happy with the results each time. The company is reliable and dependable and the quality of work performed is outstanding. I would not hesitate to give the highest recommendation to Tru Woodcraft. We hired Tru Woodcraft to build a wine bar, fill in a doorway and paint. Steve and his team were truly professional providing detailed quotes and accurate timelines and did quality work. The bar turned out better than I could have imagined and not only was he on budget, but he was done two days earlier than anticipated. Flexible and reliable, I would not hesitate to recommend Tru Woodcraft to anyone. Steve provided excellent, professional service in building our dream wine cellar. He went above and beyond with his expertise, knowledge of the finishes and quality of work. His mill work is exceptional. He listened to what we wanted and was very creative in his ideas. Excellent customer service which is extremely hard to find in the city. We are so excited to be using and entertaining in our new space! Thanks Steve! Thank you so much to Steve of Tru Woodcraft Inc Wine Cellars and Millwork. We are tremendously pleased with our stunning new Wine Room. Steve took a dingy old corner of our utility room and created a little haven for wine to reach its potential and people to enjoy socializing. He made this possible through his terrific communication throughout the planning process, exceptional attention to detail and creativity, while using only quality materials and excellent trades. Highly recommended! 5 out of 5! We had a wine cellar installed by Tru and the whole process was simple. The planning, installation and set up was professional, organized and meticulously arranged so that we received exactly what we want with minimal time consumed. I would highly recommend Tru Woodworking for anyone who wants a beautiful addition to their home that is gorgeous, functional and high quality. Thank you so much! You did an amazing job designing and building our new favourite room in our home! Cooling Units - to cool or not to cool? Are you considering a wine cellar?